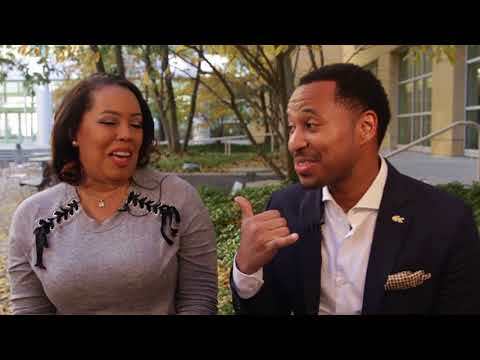 After Shannon Ashmon was admitted to Georgia Tech’s Global Business MBA program, he encouraged his big sister LaShavous “Shay” Ashmon to apply so they could go through the graduate program together. Their matriculation would be a family reunion of sorts, since the two had been undergraduates together at Tech some 20 years ago. “There was never a question of whether Shay would get into the program. It was more a question of whether I would get in,” Shannon joked, acknowledging his sister’s academic excellence. They began the program in August 2016.